This Cyber Monday we are offering 4 great specials until Midnight tonight!! Each special includes FREE US SHIPPING!! 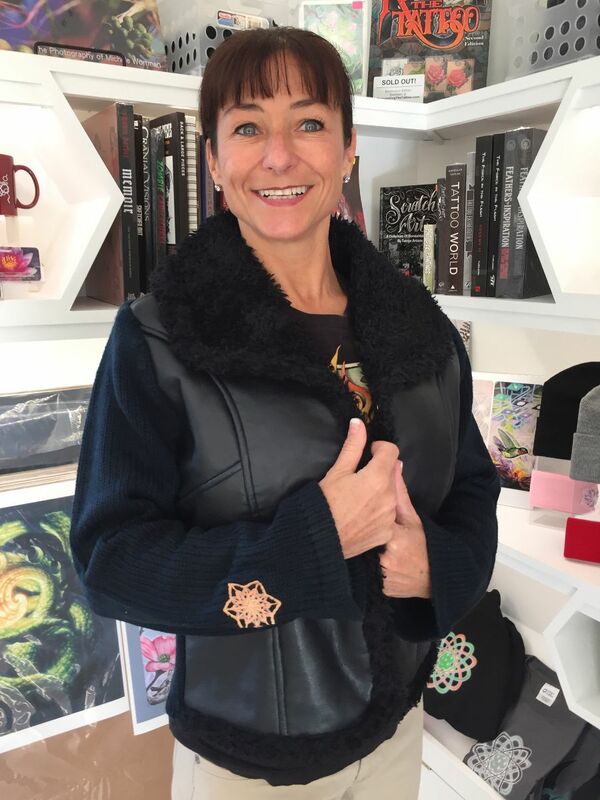 Perfect for cool weather, this comfortable indoor/outdoor knit and faux leather jacket has on of Michele's crystal mandalas embroidered on the right sleeve. For Cyber Monday only, we are dropping the price to $40 and throwing in FREE US shipping! 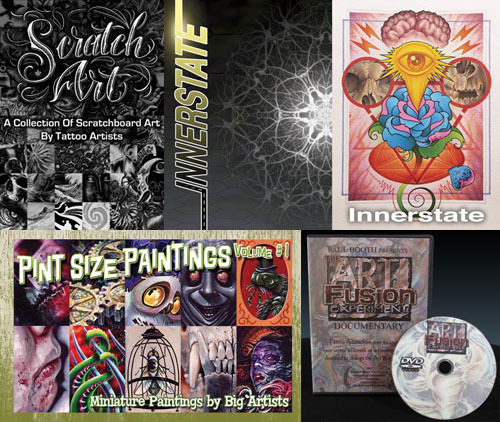 In The Tattoo Community Project Pack, we feature books and DVDs from four projects: The ArtFusion Experiment, Scratch Art, Innerstate and Pint Size Paintings. For Cyber Monday only, we are dropping the price to $99 and throwing in FREE US shipping! Save $25 on two of Guy Aitchison's most essential video tutorials. Technique is a 4 DVD set detailing Guy's rendering methods, and Coverup: A Fresh Look features an updated approach to coverup, allowing you to greatly expand the scope of your career. These two tutorials also make a great gift for tattooists of all levels experience. For Cyber Monday only, we are dropping the price to $199 and throwing in FREE US shipping! 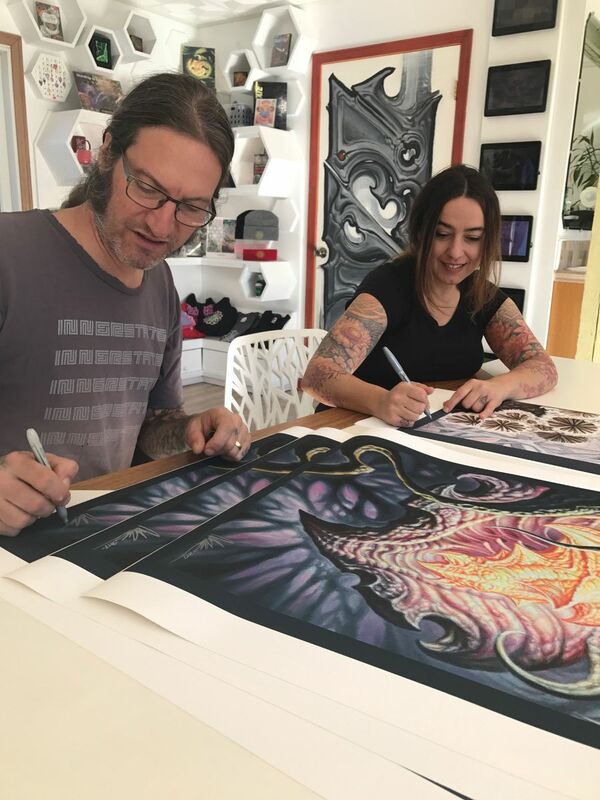 For this holiday season we are adding a new combo pack of two signed archival canvas prints of Michele and Guy's most recent paintings, BioSpore and Chrysalis. You can get these two prints together for $125 - a savings of $15. Get them today on Cyber Monday and get FREE US shipping! Order any of the special Cyber Monday items and get FREE US SHIPPING!! Any additional shipping charges will be refunded when order is filled.